Kalmus offers the complete parts to select masterworks for cello. 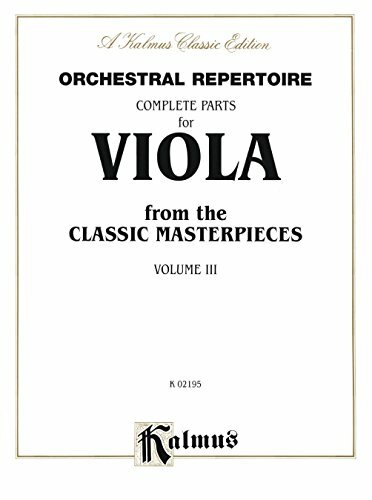 Each volume includes major orchestral works that include standard audition repertoire and widely known difficult passages. These books are great for the student to practice and learn excerpts, or for the professional musician preparing for an audition. Volume 1 of this series includes the cello parts from such orchestral masterworks as:* Vivaldi's The Four Seasons* Elgar's Cello Concerto in E Minor* Haydn's Cello Concerto in C Major* Telemann's Viola Concerto in G Major* Hummell's Trumpet Concerto in E-flat MajorKalmus Editions are primarily reprints of Urtext Editions, reasonably priced and readily available. They are a must for students, teachers, and performers. 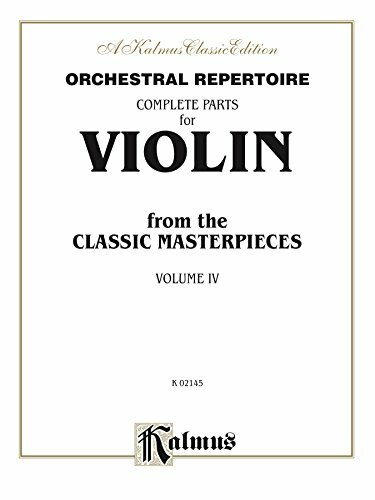 Kalmus offers the complete parts to select masterworks for viola. 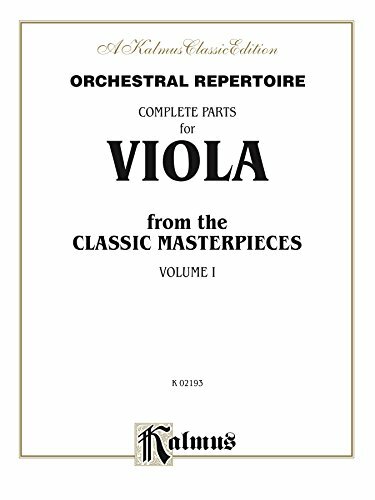 Each volume includes major orchestral works that include standard audition repertoire and widely known difficult passages. These books are great for the student to practice and learn excerpts, or for the professional musician preparing for an audition. Important works represented in these collections include: The Four Seasons (Vivaldi) * Cello Concerto in C Major (Haydn) * Requiem (Mozart) * The Planets (Holst) * The Carnival of the Animals (Saint-Saëns) * The Three-Cornered Hat (de Falla) * Carmen Suite No. 1 (Bizet) * Holberg Suite (Grieg). 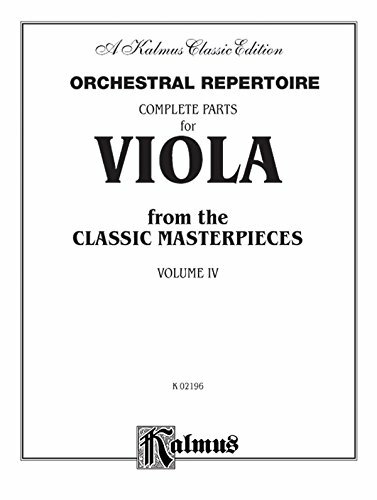 Kalmus offers the complete parts to select masterworks for viola. Each volume includes major orchestral works that include standard audition repertoire and widely known difficult passages. These books are great for the student to practice and learn excerpts, or for the professional musician preparing for an audition. Important works represented in these collections include: * The Four Seasons (Vivaldi)* Cello Concerto in C Major (Haydn)* Requiem (Mozart)* The Planets (Holst)* The Carnival of the Animals (Saint-Saëns)* The Three-Cornered Hat (de Falla)* Carmen Suite No. 1 (Bizet)* Holberg Suite (Grieg)Kalmus Editions are primarily reprints of Urtext Editions, reasonably priced and readily available. They are a must for students, teachers, and performers. Advancing violinists will be thrilled at this series of violin parts from the orchestral masterworks. Great for audition preparation or just to become familiar with the repertoire. Works include:* The Four Seasons (Vivaldi)* Cello Concerto in C Major (Haydn)* Requiem (Mozart)* The Planets (Holst)* The Carnival of the Animals (Saint-Saëns)* The Three-Cornered Hat (de Falla)* The Holberg Suite (Grieg)Kalmus Editions are primarily reprints of Urtext Editions, reasonably priced and readily available. They are a must for students, teachers, and performers. 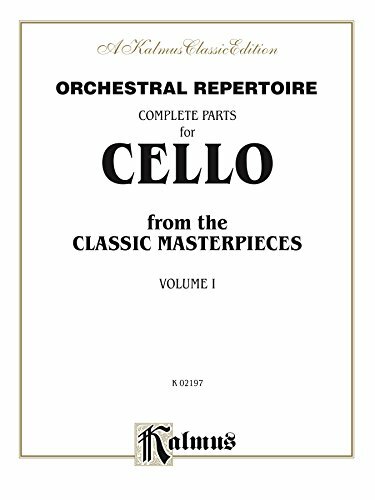 Kalmus offers the complete parts to select masterworks for cello. Each volume includes major orchestral works that include standard audition repertoire and widely known difficult passages. These books are great for the student to practice and learn excerpts, or for the professional musician preparing for an audition. Volume three includes the cello parts to these great masterworks:* Holst's The Planets* Saint-Saens' The Carnival of the Animals* Vaughan Williams' Fantasie on a Theme of Tallis* de Falla's The Three-Cornered Hat* Dvo_ák's Serenade in E MajorKalmus Editions are primarily reprints of Urtext Editions, reasonably priced and readily available. They are a must for students, teachers, and performers. 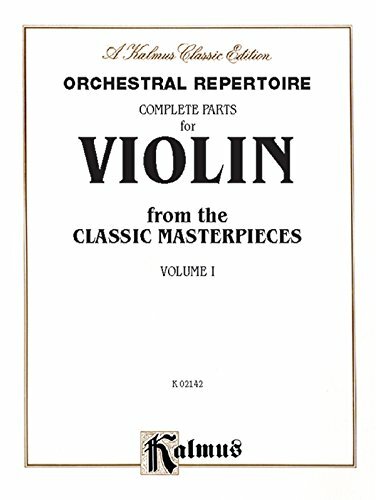 Advancing violinists will be thrilled at this series of violin parts from the orchestral masterworks. Great for audition preparation or just to become familiar with the repertoire. Volume 3 contains: The Carnival of the Animals (Saint-Saëns) * Fantasie on a Theme of Tallis (Vaughn Williams) * The Planets (Holst) * Serenade in E Major (Dvorak) * The Three-Cornered Hat (de Falla). 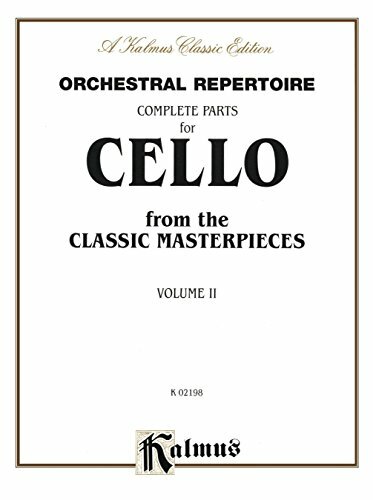 Kalmus offers the complete parts to select masterworks for cello. Each volume includes major orchestral works that include standard audition repertoire and widely known difficult passages. These books are great for the student to practice and learn excerpts, or for the professional musician preparing for an audition. 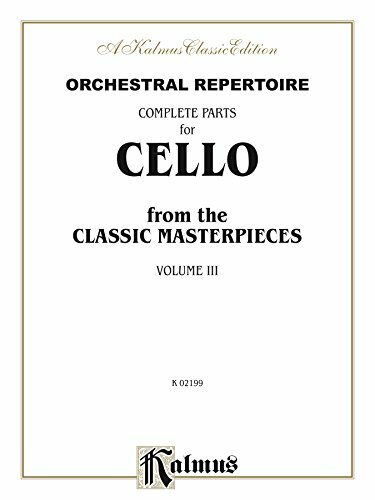 Volume Two includes the cello parts from such great works as: Vivaldi's Gloria * Mozart's Requiem * Handel's Zadok the Priest * Schubert's Mass in G.